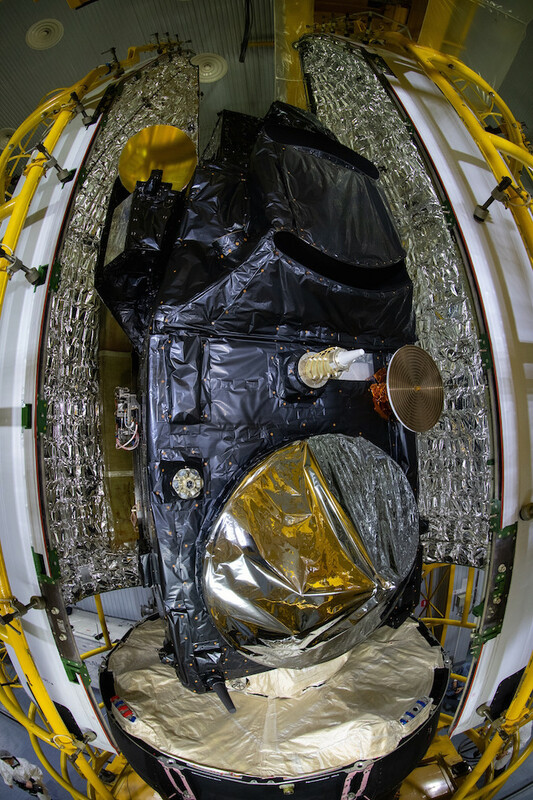 Why is Sentinel 3B's dish antenna overwrapped with metallized film? 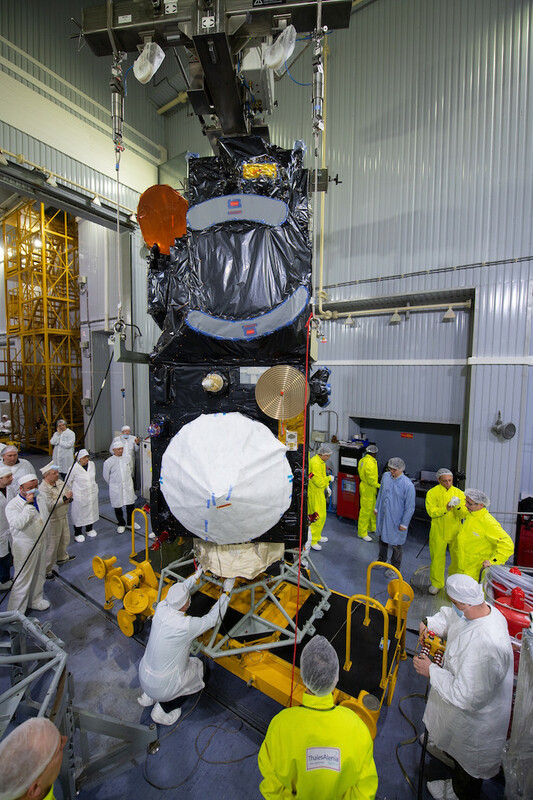 The Spaceflight Now article Photos: Sentinel 3B satellite prepared for launch from Plesetsk Cosmodrome has of course lots of photos. One of them shows a dish antenna covered with shiny, metallized film of some kind. The reason I think this is supposed to stay, and won't be removed before launch is that it is shown in the second photo covered with another layer of protective material, and I thin this is temprary because I can see some blue pieces of tape holding it on, and it's gone once the spacecraft is placed between the two fairing halves. 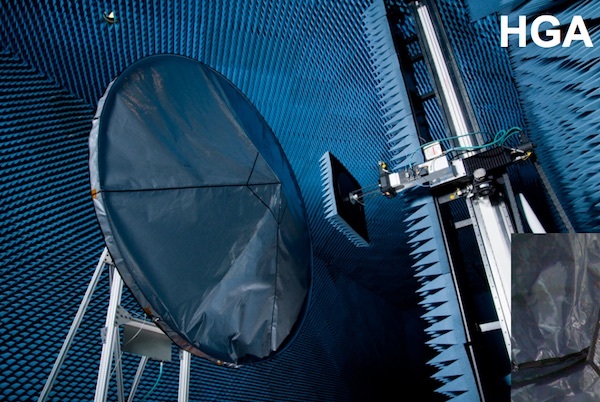 Why is Sentinel 3B's dish antenna overwrapped with metallized film? How do the electromagnetic signals pass through undisturbed? How will the corner cube retroreflector array be used on Sentinel 3B? EDIT: Spaceflight 101's article on the Juno Spacecraft (found here) also shows silver-like wrappings on the spacecraft antenna, although these do not appear as shiny metallic. I found the Wikipedia page for Mars Telecommunications Orbiter in this answer. 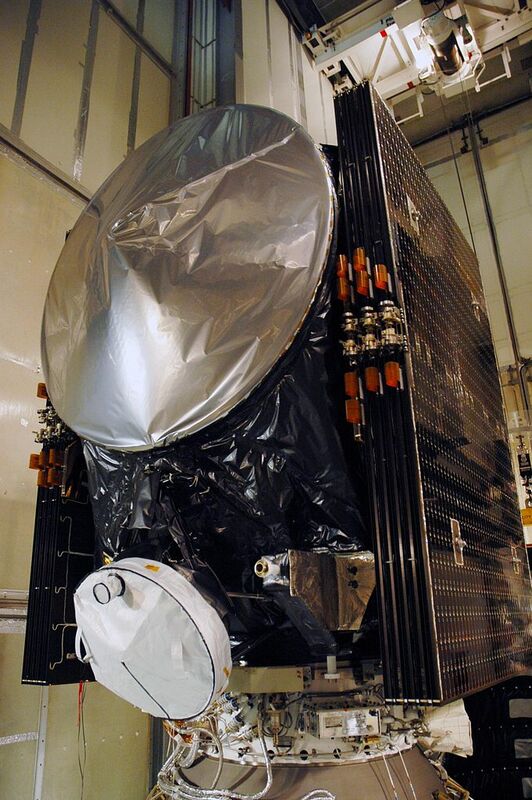 Almost any time you see a satellite, you see those shiny covers. Those are almost always thermal blankets, and a good deal of the time they are blankets known as MLI (Multi-Layer Insulation). MLI design is specific to the mission and the anticipated environment. I would presume that the SRAL dish is large enough to significantly deform from thermal effects (most likely when transitioning from sun to shade or vice versa). You don't see the big COMMs dishes on the interplanetary probes covered (I would guess) because thermal effects are not important when you get that far from the Sun. One of the visually distinctive features of the Apollo mission was that shiny golden film you see in the lander, which too was MLI. 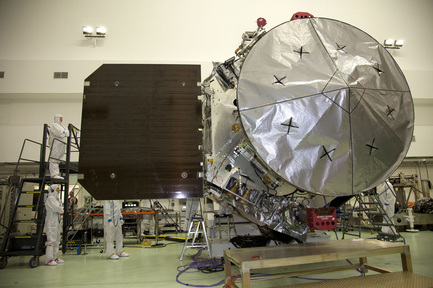 For the SRAL instrument on Sentinel 3, the dish was covered with MLI. 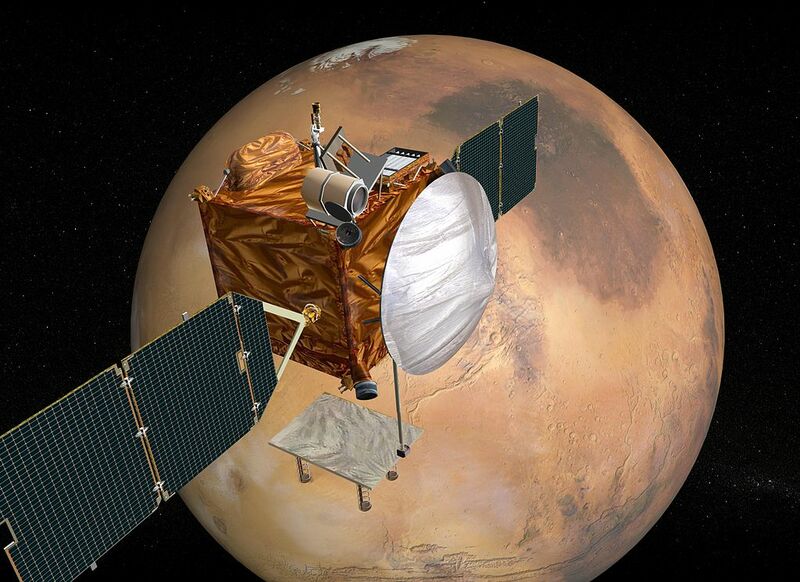 For optimal performance, it’s important for the high-gain antenna to maintain a consistent temperature while the spacecraft experiences large temperature swings from being exposed to the Sun or in the eclipse behind Mars. 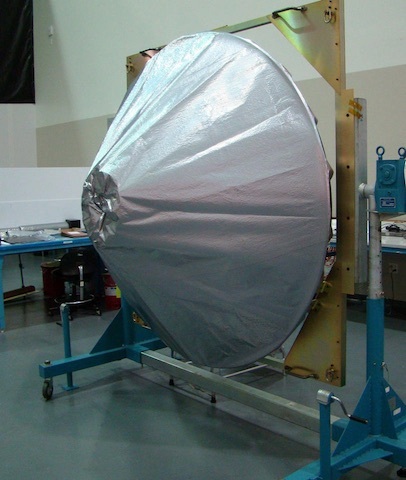 To maintain a consistent temperature range, a radome blanket covers the large antenna. Similar to the blanketing material that covers the spacecraft, the radome is made from very thin germanium-coated black Kapton film. The front of the HGA is covered with Ge / Kapton 100CB. @Dave's excellent answer has solved the mystery for me. It's germanium! Not a metal exactly, but a semiconductor. Metals have a high density of free carriers that can be though of as a plasma. The plasma frequency of metals is usually in the ultraviolet (except for Born & Wolf; Alkali metals transparent to UV? Cesium transparent to blue? ), meaning any electromagnetic wave below the plasma frequency would be rapidly absorbed and re-emitted (fancy words for "reflected" by the metal). Just like Earth's ionosphere reflecting HF frequencies and lower but transmitting most VHF and higher, a metallized film that reflects visible light and infrared light (heat) would also reflect all RF radiation; anything below the plasma frequency. I won't do it here, but if you plug in a density of one electron per atom and an effective mass $m^*$ for say aluminum you should get a plasma frequency in the UV. But semiconductors work differently here. While they can have a low free carrier density, for pure or intrinsic germanium that may be around 1E+13/cm^3 at room temperature, much less at lower temperatures. Compare that to the number density of atoms in germanium (4.6E+22) and you can see that the free carriers make only a very poor metal and a lousy, high resistance conductor. This departure from the usual formula only applies for materials of rather low conductivity and at frequencies where the vacuum wavelength is not much larger than the skin depth itself. For instance, bulk silicon (undoped) is a poor conductor and has a skin depth of about 40 meters at 100 kHz (λ = 3000 m). However, as the frequency is increased well into the megahertz range, its skin depth never falls below the asymptotic value of 11 meters. The conclusion is that in poor solid conductors such as undoped silicon, the skin effect doesn't need to be taken into account in most practical situations:* any current is equally distributed throughout the material's cross-section regardless of its frequency. But the useful optical property for a radome is the protection from heating by sunlight, and so we have to look at the optical properties of semiconductors, and specifically their bandgaps, and that's a horse of a different color. For electromagnetic radiation where the energy of the photons is above the bandgap, the photons can be absorbed and converted to internal energy in the form of a free carrier and hole pair. In photovoltaics we capture this as electrical current, otherwise it becomes heat. For materials which are familiarly known as semiconductors such as silicon and germanium, bandgap energies are associated with the near infrared. For wavelengths longer than roughly 1 micron and 2 microns for silicon and germanium respectively, they are nearly transparent. Optical windows and lenses are made out of silicon and germanium for IR imaging systems, where glass would be too absorbing. So the germanium coated Kapton would absorb almost all of the power of the incoming solar radiation in the visible and near IR, but due to its high intrinsic resistivity, would not absorb much of the incoming or outgoing RF. Here's another, and once again it's dull gray not shiny aluminization, so probably more germanium. This time it's Dawn (source). Not the answer you're looking for? Browse other questions tagged communication esa sentinel-spacecraft or ask your own question. How would a Jupiter flyby have helped to get to the Sun? Why was it later ruled out? Do astronauts go on a random banter with mission control like in the film 'Gravity'? How precise must be the antenna orientation to communicate with a deep space probe? How is a space probe's antenna directed toward Earth? What makes an antenna “high gain”, and high gain as opposed to what alternative(s)? What are the details required to automate the download of Data products of Sentinel - 1 from Copernicus SciHub? What is the parameter which stays constant at a location for downloading from Sentinel Copernicus Data?